It is a jammie kind of day today. It is March 3rd and we have a snow day here in Virginia. I don't know about you, but I am ready for Spring!! 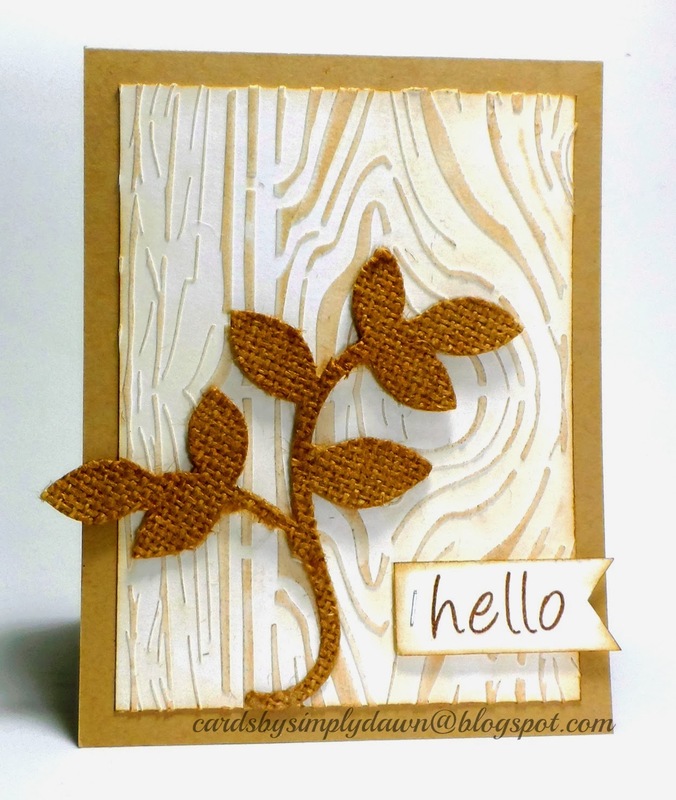 Anyway, today's CAS challenge on Splitcoaststampers is to use neutrals with a dessert option of using a natural element. I think I have it covered, although the end result didn't exactly come out on paper as I envisioned. Not as clean and simple as I was hoping for. First I used a woodgrain stencil by Prima and some light modeling paste. Once the paste was dry, I sponged on some antique linen and gathered twigs distress ink. I die cut some leaves using a die from Papertrey Ink and some new burlap paper that I picked up. It is backed with paper and quite sturdy. I sponged some distress ink over the leaves then popped them up on my card. I added my sentiment and that was it. Well, I hope you are all warm and cozy.